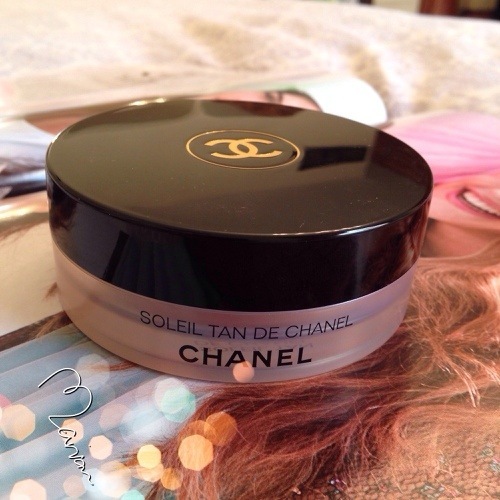 Meet Chanel Soleil Tan De Chanel bronzing makeup base, also called Universel Bronzer, im not sure if this was its previous name but alot of makeup artists used to called it (Universel Bronzer) years ago. 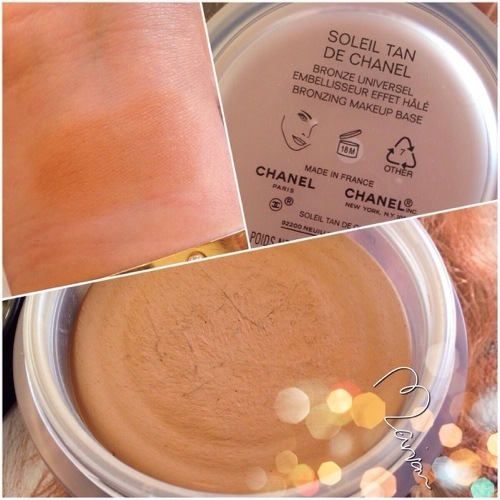 It is a foamy/cream medium color bronzer, it is described as a bronzing makeup base mainly because it is used before applying foundation, it can also be used after which i prefer. What is special about this product? Well nothing really, it is like any regular bronzer, it only comes in one shade so it will work for light and medium skintones only. The texture is very soft and velvety and is applied smoothly. 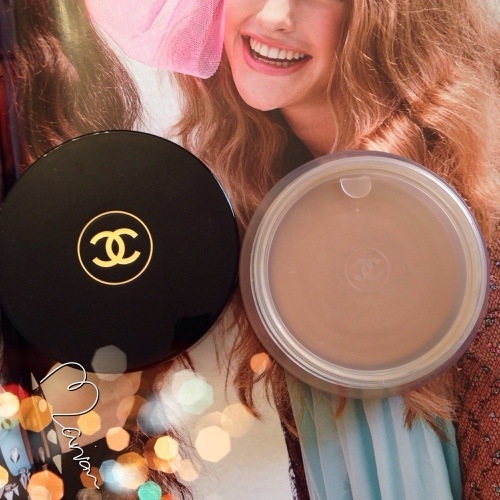 The bronzer comes in a big round shape packaging, it has a protective plastic cover from the inside to prevent the creamy bronzer from getting dry. The bronzer can be applied by all sorts of brushes but since it is creamy it is better to use a synthetic brush so it wont stick on the bronzer like regular brushes, you can see some of the hairbrush is already sticking on top which is not a pleasant sight.